Completing our voyage across France we lift the boat out at the excellent "Navy Service" yard in Port Saint Louis. Then we head south and west along the French and Spanish coasts o Gibraltar and Morocco. Great to have the mast up and be sailing again! 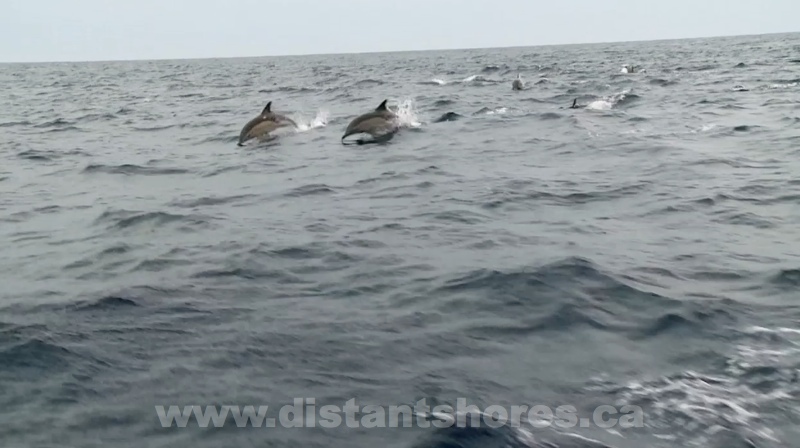 Out in the Atlantic and sailing toward Morocco we are surrounded by the largest pod of dolphins we have seen in years! I think there were more than 1000! Morning arrival of the entrance to Rabat. It is a shallow entrance and you should plan arrival for rising mid tide or higher. Read the pilot guide on this one! Into the protection of the river we pass under the fabulous fortified town Rabat. 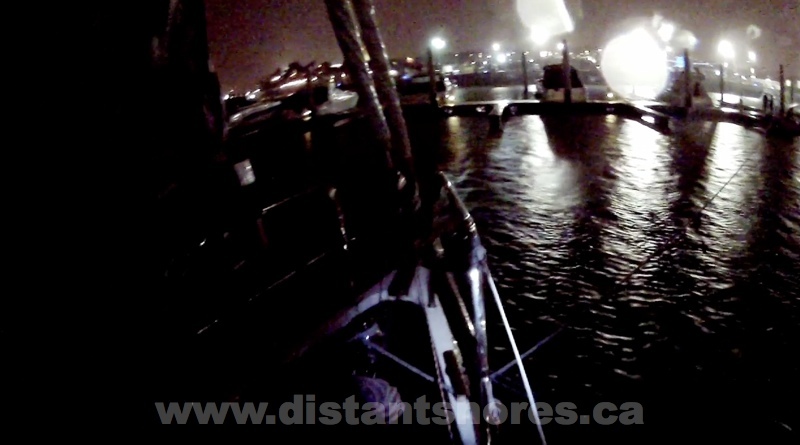 Stormy night in the marina. Winds gust up to 50 knots and we break one of the docks we are tied to. Yikes!! Travel inland is highly recommended. We take the train to Fes for a 3 day visit. The tannery in Fes - the whole town is a well preserved medieval marvel! 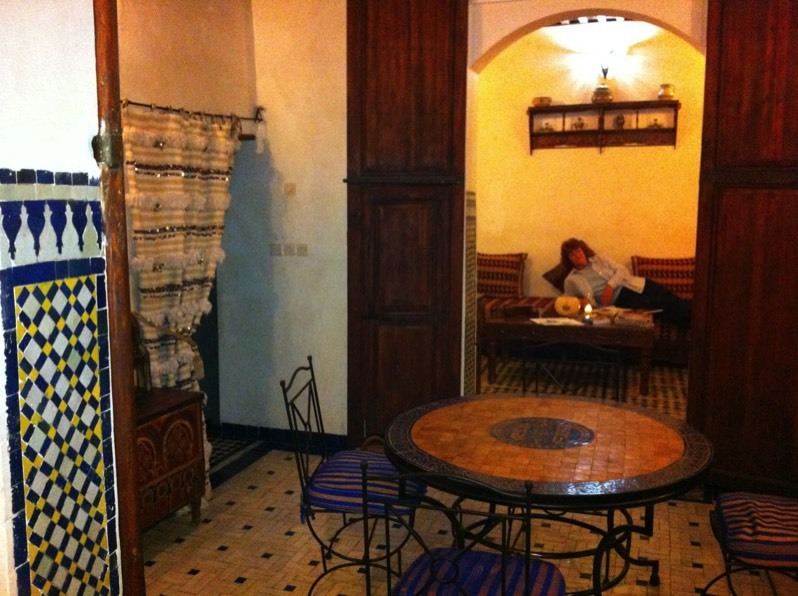 After a wild day of shopping and wandering the souk we relax in our Riad... with a glass of Domaine Sahara Moroccan wine. Quite good! Moroccan food is a delight! Riads are luxurious old houses converted to guest-houses. This was a smaller one in the deepest old town. We had it all to ourselves! 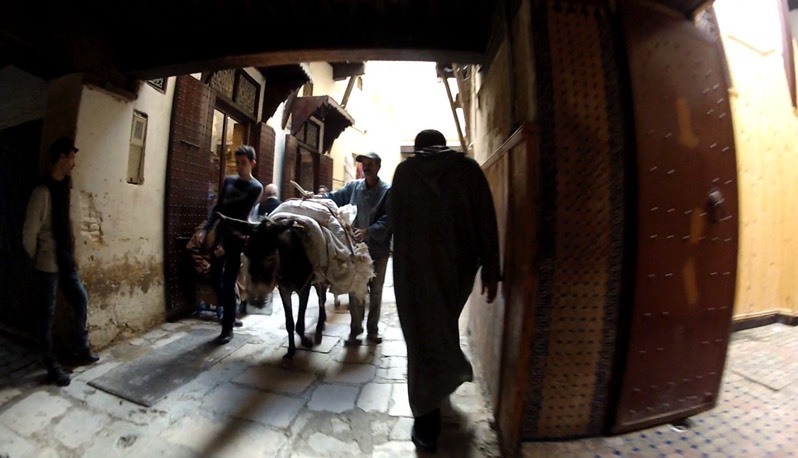 In Fes you can feel like you have stepped back in time! A great journey and a great visit. I wish we had more time to explore Morocco but we had to move on to the Canaries to prepare for the Atlantic Rally for Cruisers - ARC that would set sail in just a few weeks.